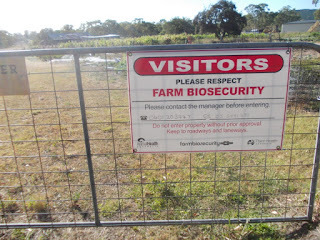 A few visitors have asked me why I have this biosecurity sign on the gate leading into my vegetable farm. One of the reasons is to remind me every day to be careful of what I am doing, and what others are doing that may, not only bring pests and diseases onto my property, but also to be careful that I am not impacting the local area with any pests or diseases that I may have on the property. It is to remind me to keep my risk management strategies up to date when I hear of a new pest or disease that has been found in Australia and regularly do risk assessments of the whole system on the farm. Luckily I farm vegetables in an area with no other vegetable farms around, it is mostly all grazing with a bit of cropping here. This will make it easy to isolate and manage or destroy any risk that does eventually turn up on my property to protect growers in other parts of the country. It is to remind visitors to be careful of what they might bring onto the property, and gives a good excuse to refuse to allow a visitor to, say, bring a gift of a tomato plant onto the property at my open day, without causing offence. And to help them think of any risks involved with their own actions, especially if they have never thought about it before. 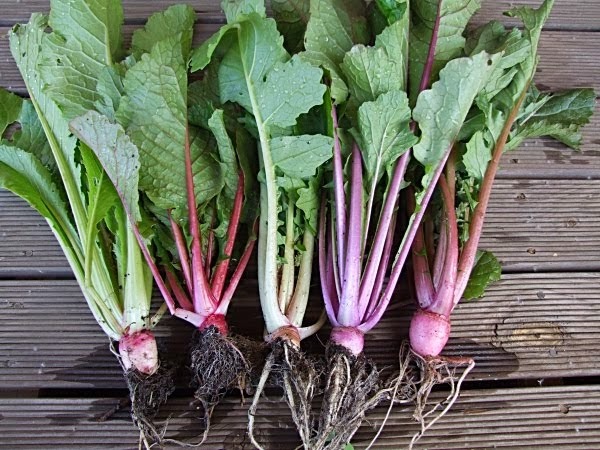 It makes me, not only aware, but actively looking for local and national threats, and keeps me inspecting my plants for changes in that might indicate trouble. Every day when I drive onto my property I see that sign and it automatically makes me aware of my actions for the whole day and reminds me of what the whole agricultural industry can lose if we fail to be attentive at all times. Sure, I should be able to do all this without the sign on my gate, but we all know how easy it is to become complacent. 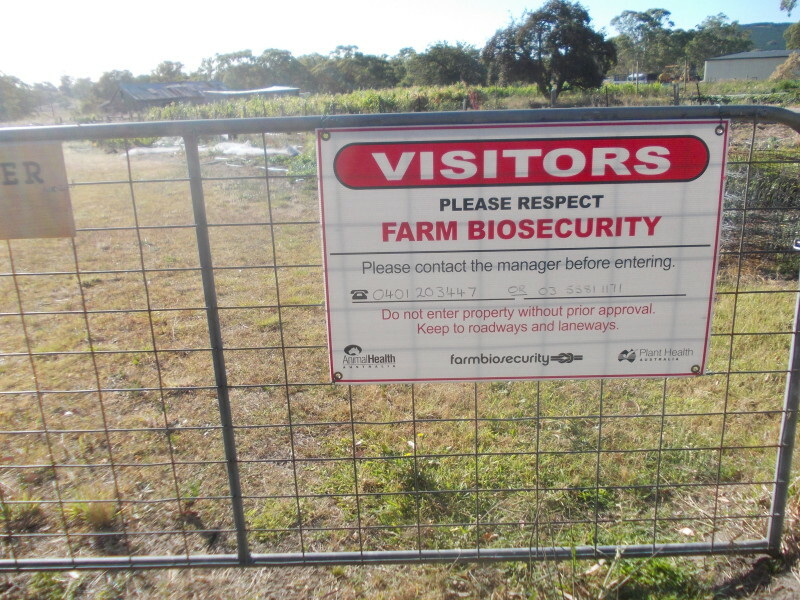 I recommend that every farmer, whether farming animals or plants, have a biosecurity sign on their gate for everyones benefit.